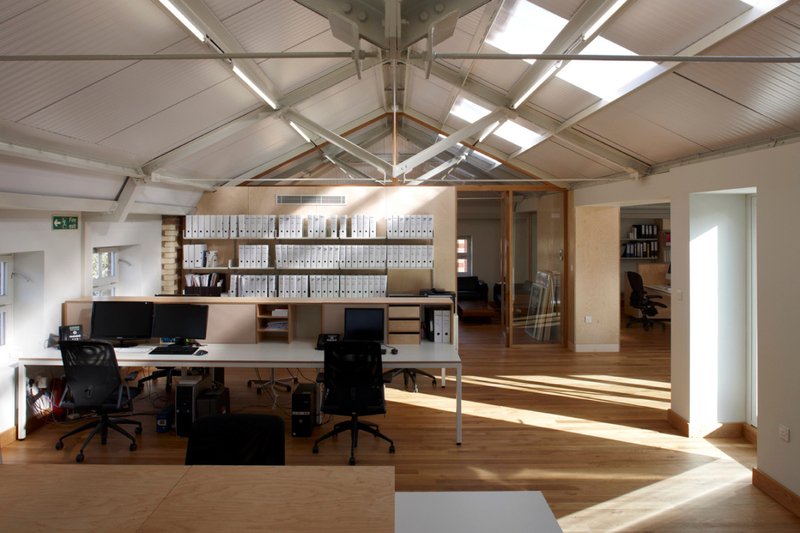 The Frieze office build could have been a complicated project as Quinn Architects worked for both the Landlord on the structure and Frieze on the interior, but Laurence and his team were a pleasure to work with at all times. Quinn Architects understood clearly the effect we were looking for, and designed both the structure and details to fit this brief perfectly. 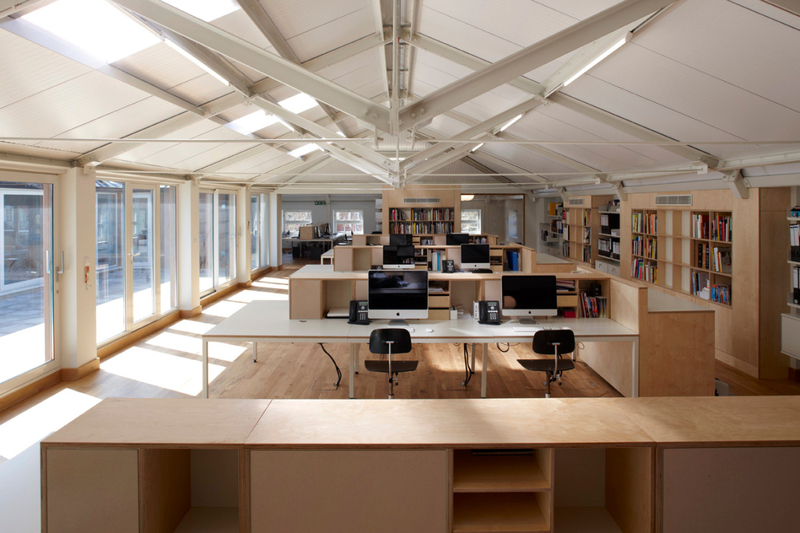 We could not be happier with the finished product - the office is a great pleasure in which to work. 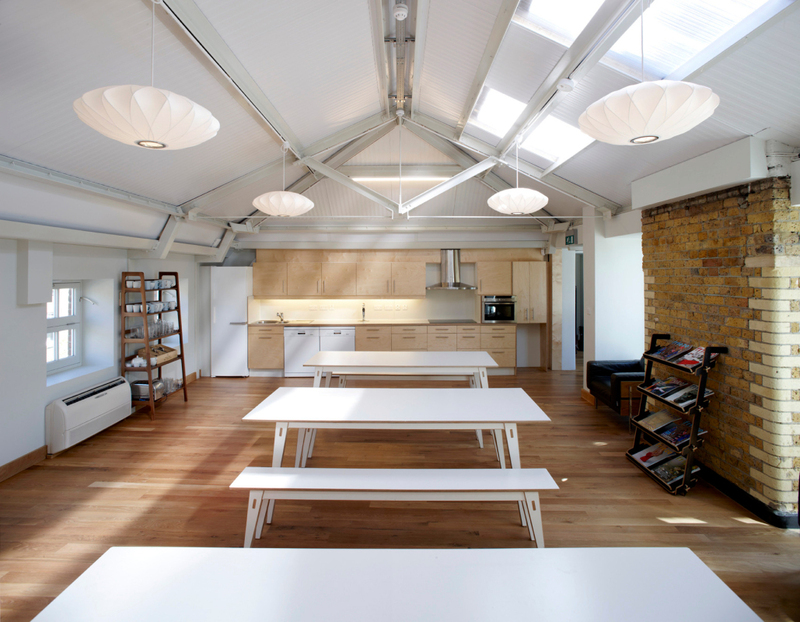 Quinn Architects designed the building, the fit out and the furniture elements. It was a suitable marriage to locate the offices for the Frieze Art Fair and magazine on a former playground located on the rooftop of the Grade 2 Listed Rochelle School in Shoreditch. A holistic approach was taken with Quinn Architects designing both the building and all the furniture elements within a modest and challenging budget. The new building was a product of tight restrictions; the building height was required to be within the parapet of the existing wall and construction needed to take place whilst the building was occupied. Our project involved 4 new linked pavilions with a central courtyard which created separation but with very clear visual links. 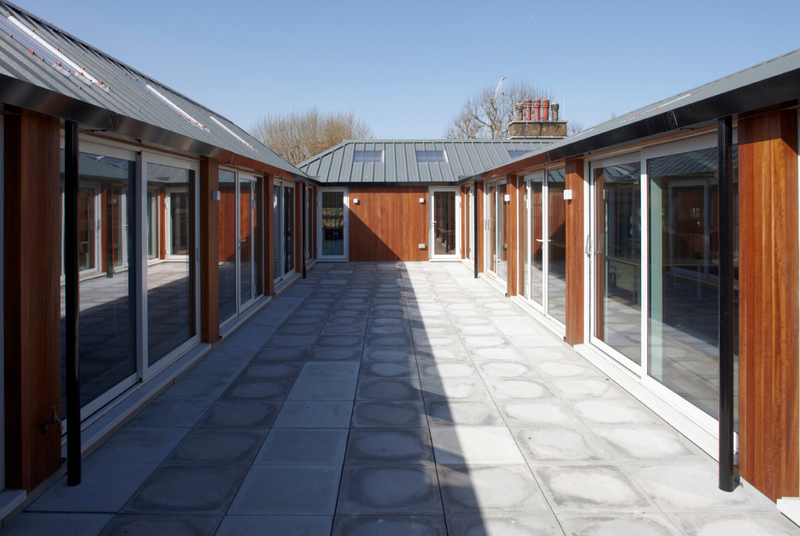 The choice of external materials of grey Powder coated metal roofs with black rainwater pipes, warm red brown Iroko timber panelling and white window frames echo the colours of the surrounding historic Boundary Estate buildings. The co-ordinated heating and cooling services located within the furniture blocks was made possible through the close relationship of landlord and tenant. A design concept of working in peaceful pavilions assembled around an open courtyard with sliding doors for natural ventilation.